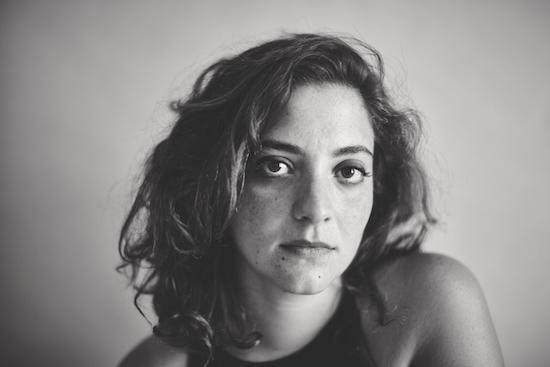 Nadah El Shazly's story begun many years ago singing Misfits cover in a Cairo-based punk band, before she moved onto producing her own electronic music and carving out a place for herself in the city's underground music scene. Now she's gearing up to release her debut album via the Nawa Recordings label. Entitled Ahwar, the arabic word for 'marshlands', the album cuts an exploratory figure, channeling her previous work, much of it shared via a SoundCloud page, into six tracks. Just below is one of those tracks, 'Afqid Adh-Dhakira (I Lose Memory)', premiering exclusively via tQ ahead of the album's release. Featured alongside the album's five original tracks is an abstract cover of Sayyid Darwish’s 'Ana 'Ishiqt (I Once Loved)', while the record was written and produced by El Shazly in collaboration with The Dwarfs of East Agouza’s Maurice Louca and Sam Shalabi who took on co-composition and arrangement duties. The album was written and recorded across two continents, between Canada and Egypt, and features the a number of figures from Montreal’s contemporary-classical and improvised music scene, most of whom are members of Shalabi’s own Land of Kush ensemble. Ahwar is released via Nawa Recordings on November 10. You can pre-order the album here.